Role of Family in King Lear research papers examine the different roles that take part in families and the relationships that take place throughout the play. The role of the family in King Lear is a very interesting study of the use of literature to convey a contemporary message. The writers at Paper Masters who have degrees in Shakepearian studies will help you understand how King Lear demonstrates many messages concerning the family. Have our writers help you write an excellent research paper for any literature course you have. 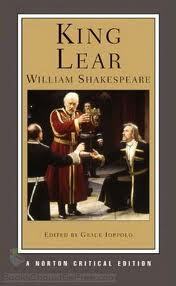 I believe that Shakespeare attempts to teach much about families and their roles in the context of King Lear. Shakespeare defines the ultimate dysfunctional families and yet shows ways in which they could have been better. While unveiling the problems caused by scheming, dishonest children, he also deals with the pitfalls of being honest. Shakespeare shows readers and actors that while honesty is always the best policy, it is not always the easiest road to travel. Shakespeare reaffirms this fact by presenting not one, but two families whose relationships and patterns reflect his fact. In many ways, King Lear continues to be the focus of the lives of those over whom he had ruled. Goneril and Regan will pay for their actions, and Edmund, too, will receive his just reward. However, the legacy that King Lear leaves is important to those he ruled, as well as those he unjustly punished, such as Cordelia. Edgar, as a subject, but also as a wronged child, understands Cordelia’s plight, and her loss, but has experience as well with a father whose anger caused rash decisions. While the play ends tragically, Lear’s mistakes and decisions remain models for those around him, both to avoid and to recognize earlier. Family Dynamics - Research papers on family dynamics delve into a part of Family Systems Therapy that seeks to understand and work within the family dynamic. Queen Elizabeth - Queen Elizabeth was born on September 7, 1533 and had a good childhood, but she did not live with Henry because of the despair of her mother. Loyalty in King Lear - Loyalty in King Lear Research Papers look at the characteristic of loyalty throughout the play King Lear, and specific characters in their roles dealing with loyalty. King Lear, The Prince, and Elizabethan Literacy - King Lear, The Prince, and Elizabethan Literacy Research Paper goes into the sixteenth century and the new ethos of humanistic and post-Reformation ideals that came into play. Shakespeare's Sonnets - Shakespeare's Sonnets term papers discuss Shakespeare's sonnets that were published in 1609. Hamlet - In research papers about Hamlet familial problems assume a catastrophic importance. Biography of William Shakespeare - Original and new research on the Master of English literature - William Shakespeare. Comedy of Errors Custom essays on William Shakespeare's Comedy of Errors. William Shakespeare Much Ado About Nothing Research Papers delve into an order placed on a film with specific questions to be answered. Shakespeare's Comedy of Errors is one of William Shakespeare's better known plays. Richard II Research Papers examine Richard II by William Shakespeare. Elizabethan Era - William Shakespeare's dramas were first performed during this time. Order a research paper on the Elizabethan Era from Paper Masters. Othello's Tragic Downfall is part of Shakespearian typical tragic downfall literary tool. Paper Masters writes custom research papers on Role of Family in King Lear and examine the different roles that take part in families and the relationships that take place throughout the play.